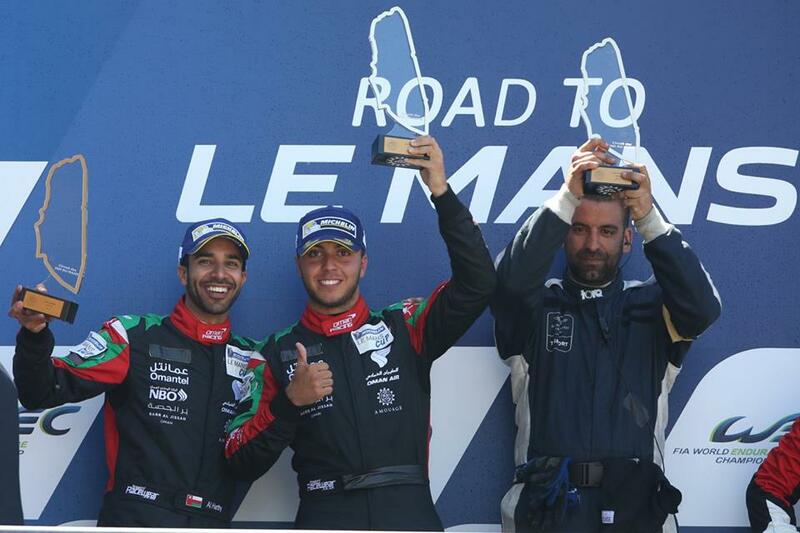 TF Sport returned to the Road to Le Mans this week (15-17 June, 2017) at Circuit de la Sarthe and secured a memorable and dramatic double victory with the new driver pairing of Ahmad Al Harthy and Tom Jackson. 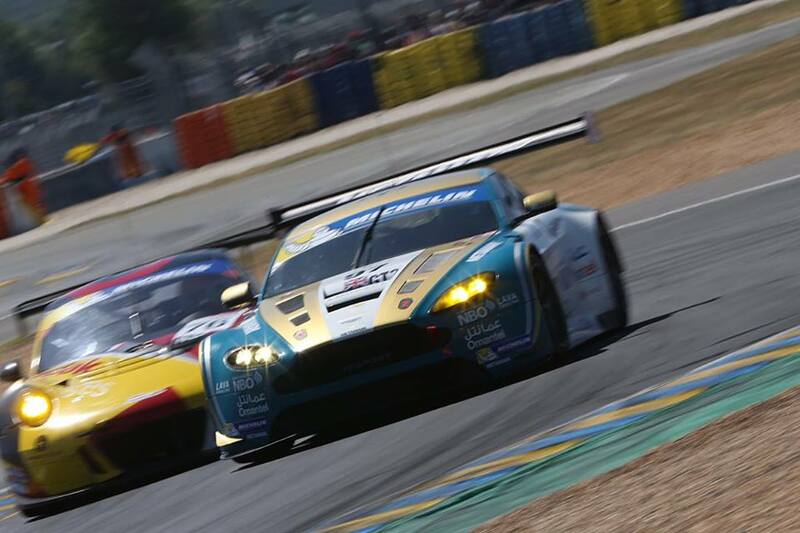 Competing with the #97 Aston Martin Vantage V12, qualifying proved to be a mixed affair for the two drivers. Jackson was left disappointed after snap oversteer and a general lack of mileage in the new racing environment left him tenth on the grid for Road to Le Mans race one. This proved to be the only issue in what was a flawless performance from team and drivers. The start of the first race on Thursday proved pivotal, with Jackson completing a sensational first lap – despite losing one position at the start – to run sixth at the end of the lap. “I didn’t make the best of turn one and lost a place, but I more than made up for it on the run to the first chicane where I got three in one move,” the British driver explained. Jackson continued to make progress, running as high as fourth before pitting fifth and handing over to TF Sport regular Al Harthy. Once the stops had cycled through Al Harthy found himself in a strong second position and a string of quick laps brought him right onto the tail of the leading #95 Ferrari. Poised to pounce for the lead on the last lap, news came though that the race leader had gained an unfair advantage in the pit stop, leaving the pits eight seconds earlier than the mandated two-minute stop, and the race was therefore complete for TF Sport with a commanding victory. The second race saw Al Harthy line up on the first in class, having set a sensation fifth fastest lap overall in the red-flag interrupted qualifying session. The first lap saw Al Harthy enjoy a ten second lead over his nearest rival and controlling the pace at the front, he was able to maintain the lead before handing over to Jackson at mid-distance. The British racer held of sustained pressure from behind and brought the Aston Martin home first for the second time in what was a sensational result for the team and drivers.